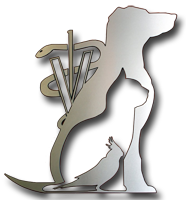 Downers Grove Animal Hospital has been specializing in pet care for dogs, cats, birds, and exotic animals since 1947. Having four veterinarians on staff allows us to take our time with your pet and provide the quality care that he or she deserves. Our Downers Grove facility is fully equipped to provide quality medical, surgical, and preventative care. We also provide full service grooming, boarding and obedience training for your pet on site. 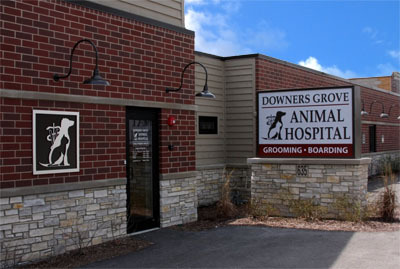 Downers Grove Animal Hospital is located at 635 Ogden Avenue, Downers Grove, Illinois 60515. You can contact our office by phone at (630) 968-2812 or by email. We are proud to care for patients from Downers Grove, Westmont, Lombard, Lisle, Woodridge, Hinsdale, Clarendon Hills, Oak Brook, Western Springs, and Willowbrook, as well as other Chicago suburbs in Illinois for 70 years. Downers Grove Animal Hospital is open 7 days a week. Please call (630) 968-2812 for an appointment. Emergencies are accepted any time we are open. If you feel you have an emergency with your pet, please call us or come to the hospital immediately. It is best to call before arriving when possible so that a staff member can advise you on your particular emergency. If you have an emergency outside of business hours and are unable to reach us, we refer to Emergency Veterinary Service of Lisle for after-hours emergencies. They can be reached at (630) 960-2900. Monday: 8:00 a.m. – 12:00 p.m. & 1:00 p.m. – 7:00 p.m.
Tuesday: 8:00 a.m. – 12:00 p.m. & 1:00 p.m. – 7:00 p.m.
Wednesday: 8:30 a.m. – 12:00 p.m. & 1:00 p.m. – 7:00 p.m.
Thursday: 8:00 a.m. – 12:00 p.m. & 1:00 p.m. – 7:00 p.m.